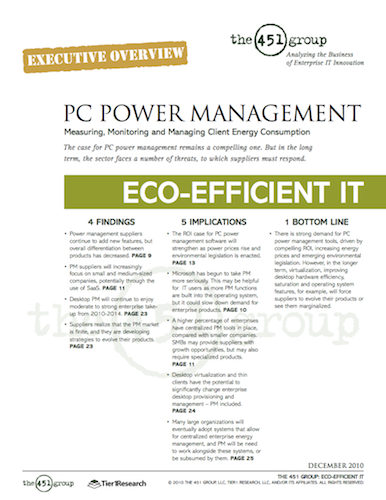 Thanks to Andrew Donoghue, Analyst at The 451 Group, for featuring DssW and our energy saving software, Power Manager, in their latest Eco-Efficient IT report. The report is available for 3750 USD from The 451 Group; an overview document (PDF) is also available. This article was posted in Business, Power Manager, and Reviews and tagged Andrew Donoghue, dssw, PC Power Management, and The 451 Group.